Nowhere else to go, nothing better to do on a Sunday night. It's paddling time! 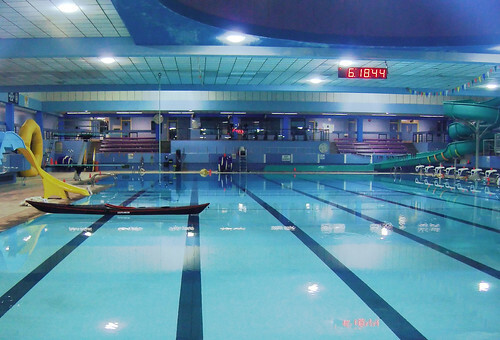 I've been to a few pool sessions now and they're just a great opportunity to learn new stuff. I tend mostly to practice rescues and keep trying for that roll. This night I brought my camera and one of my friends from work. 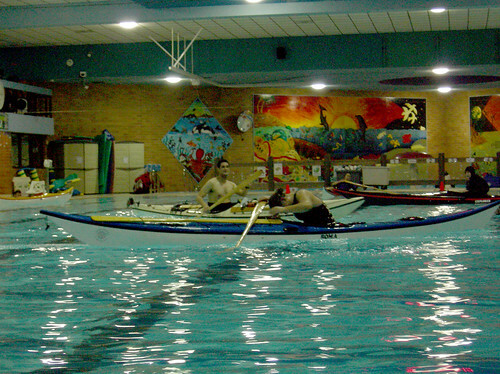 There were a number of different skill ranges in the pool that night and a lot of people with traditional kayaks and/or Greenland paddles. I got to chatting with a guy named Kevin about Greenland paddles, and found out he was from Nanaimo and made the paddles with a swiss army knife saw and a plane using biometric measurements and some good lumber. I was on the low end of the skill range, but I just practiced more of the same wet exit and reentry techniques and tried a roll, but my body went all over the place in the cavernous boat I was using (Telkwa HV). 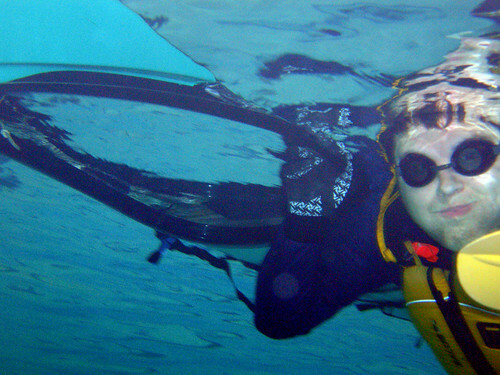 I've also found over these sessions that foam paddle floats are a lot better for fatties than the air bag style ones. I tried a north water float, and it made for much more reliable reentries and paddle float rolls.